The University of Tennessee at Martin is located in Martin, Tennessee, roughly 360 miles from Clifton, and is one of the five campuses of the University of Tennessee system. UT Martin plays in the NCAA Division I Football Championship Subdivision (“FCS”) as part of the Ohio Valley Conference. They last played in the FCS playoffs in 2006. Led by coach Jason Simpson who is entering his 11th season, the Skyhawks play a unique 3-3-5 defense. This should be the first and only time the Bearcats see this defense this year, although BYU plays similar formations from time to time. Coach Tubs indicated UT Martin will be in the “3-3-stack” playing 5 defensive backs at all times. The 3-3-5 is typically used when the defense is outsized and is trying to confuse the offense by applying different blitz pressures while playing mostly zone or man coverage. This will be an interesting test to see how Hayden Moore adapts to the unique defensive scheme and reads coverages. We are excited to see whether the Higher Ground focus on playing smart, turnover-free football has paid off. The Skyhawks lost their quarterback last year due to injury so there are a lot of uncertainties on offense. However, the offense did score 11 TDs during a recent scrimmage. The Skyhawks also have a 350 lb. senior offensive lineman with the million-dollar name of Olandrious Booker. It will be interesting to see how all 350 of his lbs. resist our defensive front. So, who is excited to start the 2016 campaign in Nippert Stadium this Thursday night at 7 pm ET? Hopefully, it will not monsoon and cause a two-hour delay like last year’s opener. 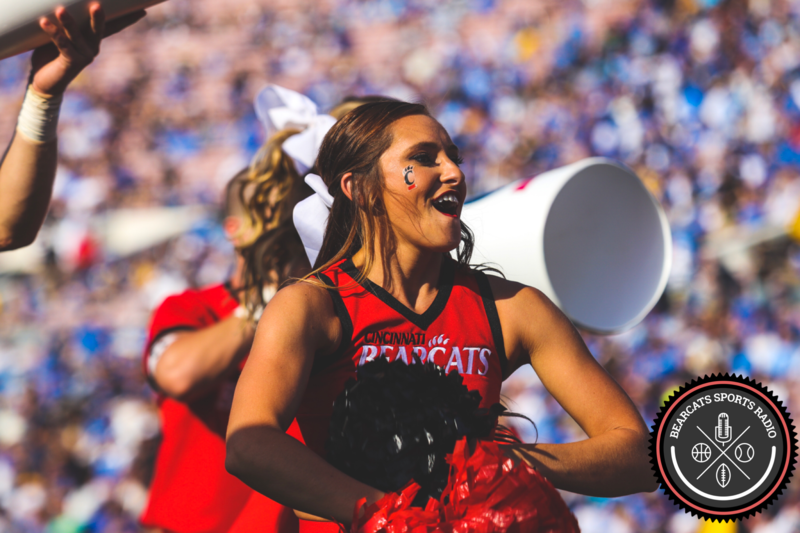 If you are not able to make it to the whiteout Thursday night, you can catch the action on ESPN3 or follow our Twitter timeline – @BearcatsRadio.